The assaults on the media freedom are having a chilling effect on the fraternity but this is the time for standing up for professional and constitutional values. Its time to stop the nitpicking. All that hair-splitting about whether what we are witnessing in India today is classical fascism or not – stop it. The argument that this is not like the Emergency of 1975 – completely irrelevant. Those bookish notions belong to seminar rooms and academic discussions, where high-minded scholars, obsessed with theory rather than ground reality, can discuss the minutiae of definitions are pointless at a time when we are witnessing the steady gagging of dissent. Indeed, it is not just dissent that is being stifled – even facts are verboten, which essentially implies that only sweet sounding lies will be allowed. As media practioners, my colleagues and I have felt the cold and clammy hand of threats to stop publishing the truth; but don’t take my word for it. Read Punya Prasun Bajpai’s first hand experience of being told by his TV channel’s proprieter not to mention Prime Minister Narendra Modi’s name on his show. Bajpai, along with his colleague Milind Khandekar found himself out of a job when their stories, which were critical of the government – with facts and on the ground reporting – ‘got too much’. That wasn’t enough – Bajpai’s show Masterstroke, which raised the channel’s profile and viewership, was blanked out on cable and satellite channels for several days. 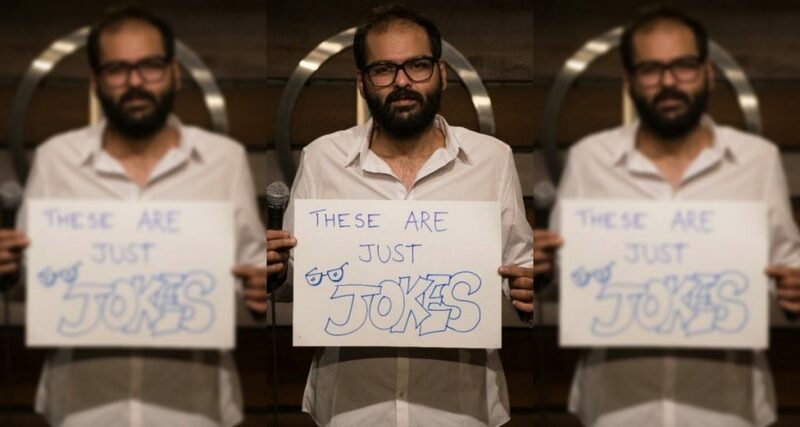 Nor is this only about the media – in recent days, comedian Kunal Kamra found out that his show had been cancelled at MS University, Vadodara, after former students complained that he was ‘anti-national’. They claimed his show was “an ideological conspiracy to pollute the minds of Barodian youth ahead of the 2019 elections. “The coordinator of the auditorium said that they were told that the content of his show was “anti-national and controversial.” It sounds surreal and farcical, like something out of an old, satirical play (when satirical plays were being written), but it is very much real and sinister. Or consider the event titled “Dialogue on Freedom of Expression”, that was cancelled by Delhi University because members of the Akhil Bharatiya Vidyarthi Parishad protested. For the ABVP, which is part of the larger Sangh parivar, the title itself is incendiary – firstly, it is about the freedom of expression, something that is anathema to them. Secondly, it is a dialogue, a completely alien concept to members of an organisation where holding views different from the ‘official’ line is simply not allowed. To shut down an event on freedom of expression is an irony they will not understand, because neither the ABVP nor their masters do irony. What further evidence does our liberal and left intelligentsia need about this being a difficult time for any kind of free speech and dissent? Yes, things were difficult during the Emergency – journalists were in jail and newspapers were cagey about publishing matters that angered the government – but there was a law in place. Now, newspaper proprietors have asked their editors to shut up or be kicked out, editors lose jobs halfway through their contracts, media companies have been raided and their channels taken off air and journalists are being shot dead. Is it really that different? There is no point comparing then and now – the hard fact is that with every law upholding freedom of expression still in place, newspapers and television channels have chosen to meekly fall in line and take orders emanating from the top. The signs of what was to come were all there. In his time in Gujarat, Narendra Modi had kept the media at bay and on the few occasions when he had met journalists from outside the state, he had refused to answer any questions he considered awkward or hostile. That an elected official can and should be questioned is something he does not seem to understand or appreciate. He wants control over the situation and if and when that control slips – as it did when he was being interviewed by Karan Thapar – he cannot handle it and shuts down the conversation. This is a government led by a prime minister obsessed with image management–all those ads, the photo-ops, the invocation of his name by his ministers, they are about presenting him as the neon-god who must be praised at all times. He hardly held press conferences in Gujarat and he has held none in his term of four-and-a-half years as prime minister. The few interviews he has given have been done by fawning anchors who have all but grovelled at his feet. The well-oiled performance on the stage in London where a poet sang his praises was cringeworthy. Even Donald Trump, who has a bitter relationship with the media, talks to them individually and collectively and exposes himself to questions. He ridicules them, calls them names, but he appears in front of them. Narendra Modi has contempt for the media but he will not take the risk of standing before them and calling them names – a wrong question would thrown him off-track. It is hardly surprising, therefore, that he has stayed away from the media. But his prickliness has reached new heights. The media is closely monitored and directives are routinely given to media houses. Bajpai speaks of a 200 strong team whose job is to monitor coverage and prepare reports on who is saying what. The newspaper owners soon get to know if their journalists are getting out of line and are expected to bring them back to the straight and narrow. There is no dearth of anecdotal evidence about journalists feeling frustrated that their hands are tied. More than the owner’s diktats, what sends out a more chilling message is the consequence of what happens to those who dissent. Losing a job can be hard enough and often, it becomes almost impossible to get another job. No other proprietor wants to touch a journalist who has incurred the wrath of the political establishment. There are several examples of journalists finding that even firm offers have been rescinded. A jobless journalist loses more than a livelihood – he or she also loses a platform and a voice. This fear can even make well-established journalists – stars – keep their heads as low as possible and get on with the job within the given constraints. After what has happened to Bajpai, one can be sure that there won’t be any upsurge of professional unity and a show of individual or collective defiance against the government; at best a mealy mouthed statement will be issued, but the journalists, small and big, especially big, will get back to declaiming about national and world affairs. When Donald Trump ridiculed the CNN reporter at a press conference, his colleague from Fox News stood up for him and voiced his objection to the president; that is not likely to happen here. Media associations have been traditionally weak in India, now they are practically a joke. Thus, the issue here is not to analyse the present situation and give it an accurate name; that is for future historians to decide. 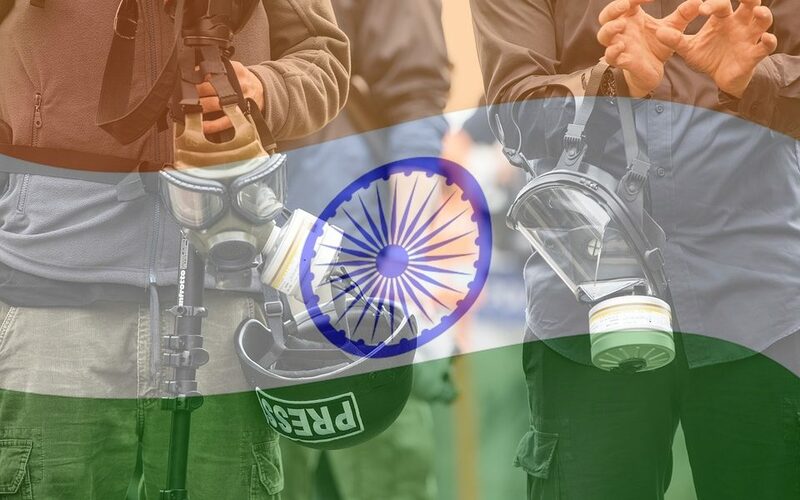 At this moment, the objective should be to stand up and be counted and make it clear that this suppression of free speech will not be tolerated because it is un-Indian and unconstitutional. There are fine examples of professional and brave journalists doing their job in the most difficult and trying of circumstances. Even young reporters have not completely given up on the profession and do their best. I constantly come across newly minted professionals who are angry at what they are seeing around them. For them the Emergency is something they have only vaguely heard about and fascism is an unknown concept. They don’t care about the past or about accurate, theoretical definitions. Neither should we, who have been around for longer. As Humpty Dumpty said to Alice when she wondered if a word could be made to mean many things: “the question is, who is to be the master, that is all.” Those who are trying to control the message want to be the master; it is up to those who believe in democracy, to resist, not cave in.